Firecrow Blogger Template is another beautiful blogger template which is modified and converted by us from WordPress template. 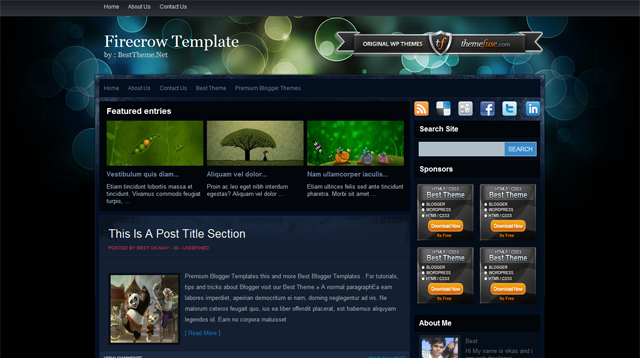 Firecrow Blogger Template is a blogger theme is a thumbnail style post and Three featured post space. It have a beautiful color combo. This theme has a disqus comment system, star rating and sidebar with multiple ad box, social widget and a header space for your banner. All template setting you will get in the template folder and if any problem happens please ask through comment.